Made for a friend who is big on ocean and wildlife conservation. It’s a pretty standard macrame weave made with waxed cotton cord. 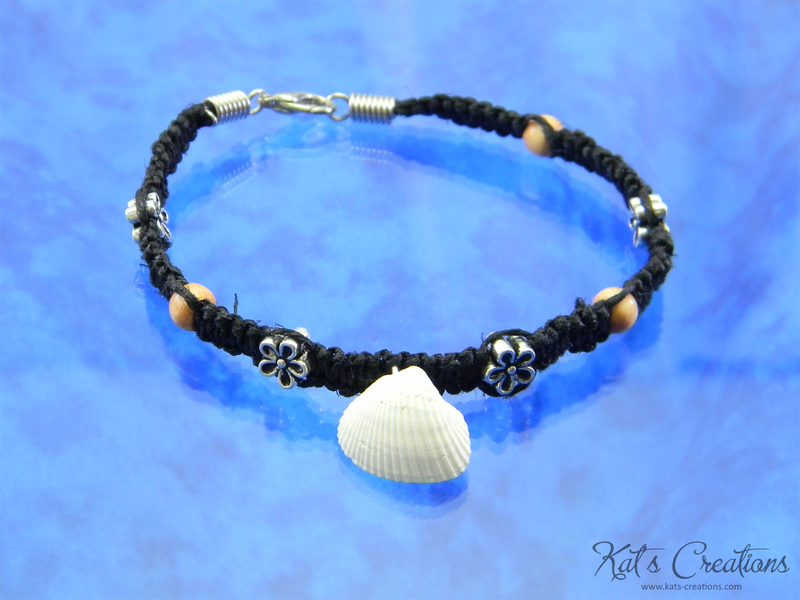 It also features wooden and metal beads and a single shell which I personally collected from Orange Beach, Alabama.